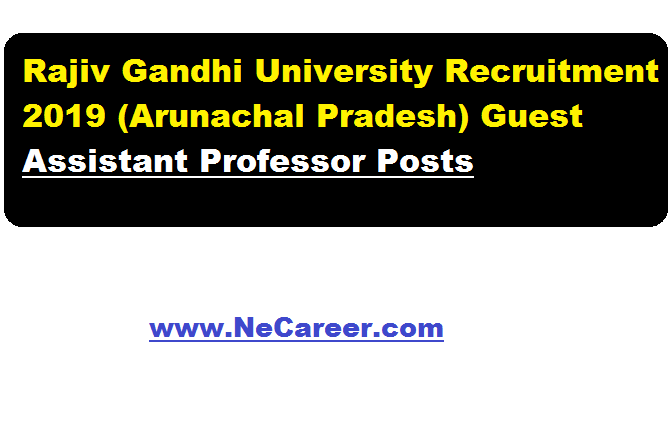 Rajiv Gandhi University Recruitment 2019 February (Arunachal Pradesh) - Guest Assistant Professor Posts :- First of all Welcome to North East India's No. 1 Job Portal NE Career . Today we will going to inform you about a new job in Arunachal Pradesh. 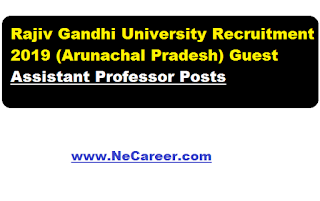 Rajib Gandhi University , one of the reputed universities in North East India has issued a job notification in the month of February 2019 for guest lecturer positions. The details of the recruitment is mentioned below. 1. M.Sc.Physics (55%marks for general and 50% for SC/ST). Remuneration: Consolidated salary: Rs.1000/-per class to a maximum of Rs. 25,000/- per month. Interested and eligible candidates may appear for a walk in interview along with the bio data , qualifications , experience , specialization etc. with original of supporting documents. Notes : The post is purely temporary for a period of 1(one) semester: however his/her service may be extendable, if needed by the University No TA/DA will be paid for attending the interview.